July 10, 2013 – CLEVELAND, OH – Great Lakes Brewing Company (GLBC) joins brewers across the country in the Ales for ALS campaign. Ales for ALS is a national program that unites some of America’s top craft brewers in support of the work at the ALS Therapy Development Institute (ALS TDI) to end ALS. Ales for ALS participants receive a special blend of experimental hops provided by Loftus Ranches and Hopunion. Participating brewers will brew special beers with these hops and donate a portion of the sales to ALS TDI, a nonprofit biotech in Cambridge, MA that is focused solely on developing treatments and a cure for ALS, also known as Lou Gehrig’s disease. As part of this program, GLBC brewers have created a heavily hopped White IPA brewed with GLBC’s Belgian witbier yeast and spiced with coriander, white pepper, and lemongrass. The beer will be tapped on Friday, July 12 at 4PM and sold exclusively in the GLBC Brewpub while supplies last. GLBC will donate $1 from each White IPA pint sold to ALS TDI. 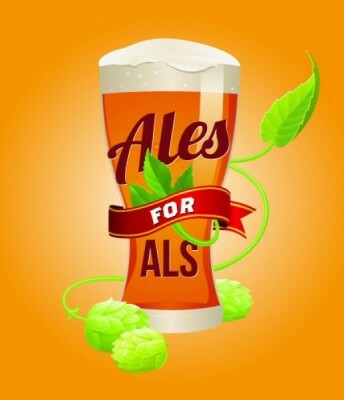 For more information about Ales for ALS, please visit alesforals.com.